We have risen to prominence in the manufacture, supply and trade of Shrink Wrapping Machines. These are available in the range such as Shrink Chamber Machines, L Sealers, Automatic Shrink Tunnels, etc. These machines are used for wrapping purposes. Supported by the love of the clients and hi-tech machines; we are offering Automatic Shrink Tunnels. The special characteristics of these shrink tunnels are high durability, sturdy body, moisture proof coating and so on. Truly versatile, these automatic shrink tunnels are highly reliable. Our offered range of these automatic shrink tunnels is free from all sorts of the defects since these are rigorously tested for their quality. Being quality oriented organization; we are dealing in the production of Web Sealers to the clients. There is huge demand for these web sealers among our clients. 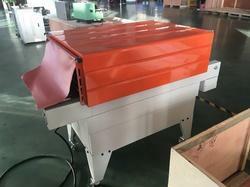 These sealers could enter the shrink tunnel easily using the automatic settings. You could push these sealers manually or in other ways. Manufactured at our state of the art center using the advanced technology and tools, these web sealers are available at feasible prices. 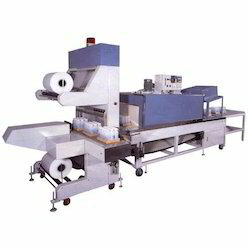 The specialty of our organization lies in the field of offering Shrink Tunnel Packaging Machines. Extensively used for packaging items such as stationery and sweets; these packaging machines operate using the power of 50 Hz and 220 volt. 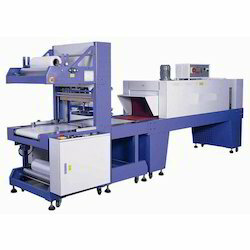 These packaging machines are manufactured using the cutting edge technology and the sophisticated tools. 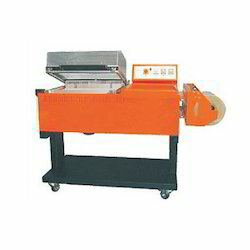 On top of that, these shrink tunnel packaging machines are available at excellent prices to the clients. 15" x 20" x 6"
We are among the most sought after organizations in the field of offering Sleeve Wrapper Machines to the client base. Widely used for packaging applications, these machines have automatic mode of operation and these consume least amount of power. Our offered range of these sleeve wrapper machines are put to comprehensive quality testing under the supervision of our experts before being dispatched for sale in the industry. Listed in the category of topmost organizations, we are involved in the business of Automatic Shrink Wrapping Machines to the clients. 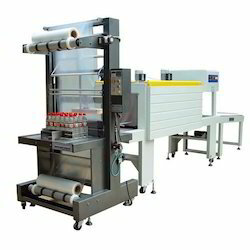 We offer the best quality and defect free range of these automatic shrink wrapping machines to the clients. As their name implies, these are used for wrapping the items and these do so using the cutting edge technology along with the quality constituents. 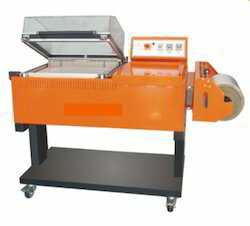 We deliver these shrink wrapping machines in the timely manner to the clients. Sealing Dimension (mm) 42 x 55 cm 16" x 22"
We are engaged in the manufacture, trade, import and supply of a massive collection of Shrink Tunnels. Manufactured in adherence to the preset industry standards, these are vastly known for their good packaging speed, hassle free performance and ease of installation. Shrink tunnels consume less electricity, offer supreme functionality and require less maintenance. 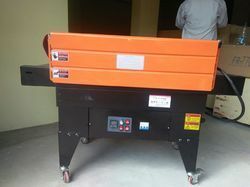 We are the reliable and recognized organization in the field of offering Manual Cutters which are used in the industries for cutting purposes. Manual cutters, as their name implies could be used manually by anyone. These cutters come with the sharp blades which play an important role in their functionality. We have the necessary skills and the expertise to fabricate the entire range of these manual cutters according to the expectation levels of the clients. Since the inception of our organization, we are providing Shrink Chamber Machines of excellent quality and reliable performance to our esteemed clients. 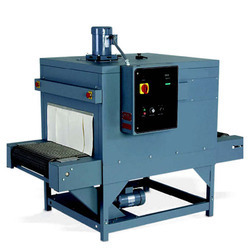 Appreciated by the clients for their smooth and hassle free performance over long period of time, these shrink chamber machines possess robust body and could be maintained quite easily by anyone. To conclude, these shrink chamber machines would not only meet you expectations but would even go beyond them.